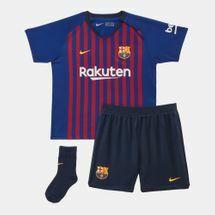 Get your babies supporting their team early on in the Nike Kids' Breathe FC Barcelona Home Football Kit. The shirt, shorts and socks are made from breathable fabric and allow for easy movement. 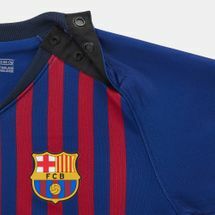 With FC Barcelona crest and colours throughout.